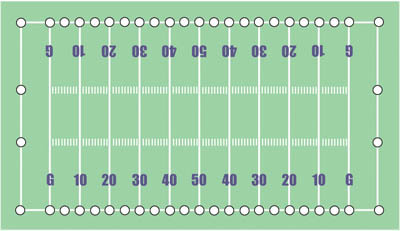 ProLine Permanent Field Layout System is the simplest, easiest and lowest cost way to keep your athletic fields marked, year after year. 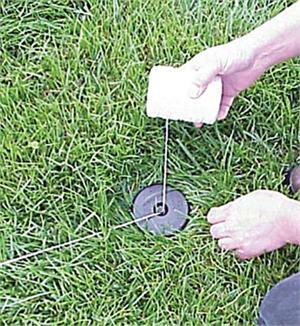 Just drive the rugged nylon locators into the ground at key field positions, attach the supplied string line to the locators and you’re ready to stripe your field. The locators are permanently left in place so you can precisely remark your field year after year, yet you only need to measure once. Safe- Unlike others, ProLine Locators have no open holes to catch players’ shoe cleats or fill with debris. Easy to Install- Simply locate your field corners and other key layout points. 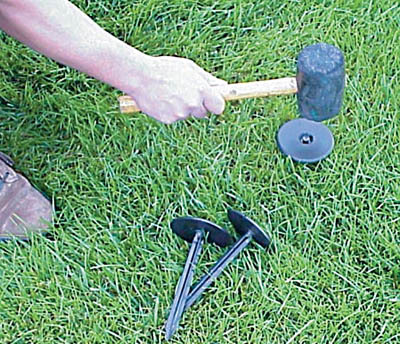 Use starter tool to make hole and insert the ProLine locators. 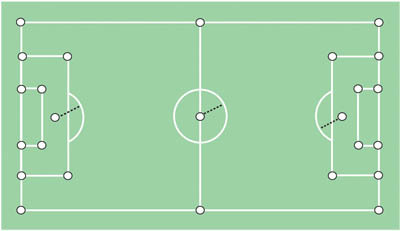 Your field is now ready to be quickly relined year after year. 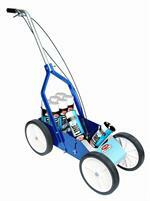 Easy to use- Just attach the guide cord between the locators and start striping your field. 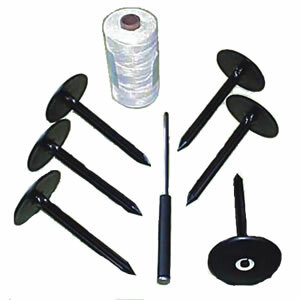 Unlike other locators, the ProLine’s unique one-piece design eliminates any additional pegs or plugs to loose or forget. Indestructible- Made from super tough nylon the ProLine layout system will last for years. They are backed by a three year. 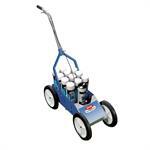 Quality- Proudly made in the USA, ProLine products are backed by a unconditional Three year Warranty. All you need to do is insert the can, squeeze the trigger and start walking! 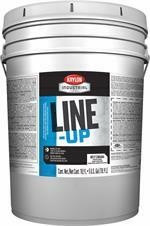 That's the ease of Krylon's Athletic Striper. 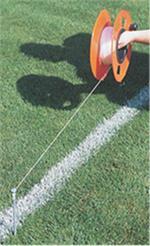 This dual can striper paints the grass on both sides of the blade for a longer lasting line. This will increase the length of time between applications. Use 2 cans to stripe at a time for a bolder line. Holds up to 8 cans on board.